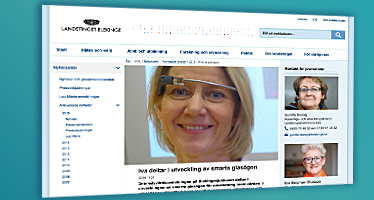 - Sahlgrenska is now developing and evaluating patient monitoring of the future, Martin Toresson says. It will become SUCCCE! Or? 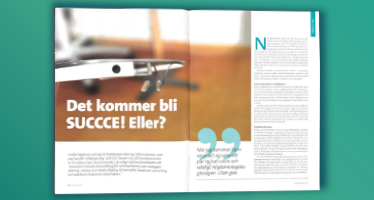 Article about SUCCCE in Ventilen, a magazine published by the National Association for Anesthesia and Intensive Care (Riksföreningen för anestesi och intensivvård). 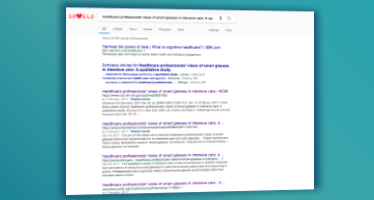 Healthcare professionals' views of smart glasses in intensive care: A qualitative study. Charlotte Romare has gotten her first research article accepted for publication. 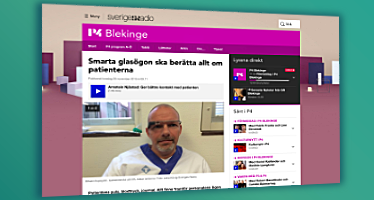 Intensive care at Blekinge Hospital has grasped – smart glasses are the future of health care. 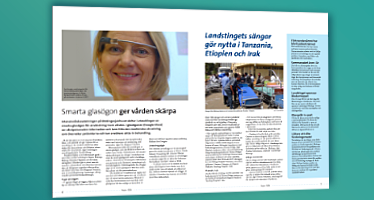 Interest in the invention from Blekinge is high worldwide. - We thought there would be some resistance from the healthcare staff. But they stood in line to try this and thought it was exciting with new technology, Arnstein Njåstad says. 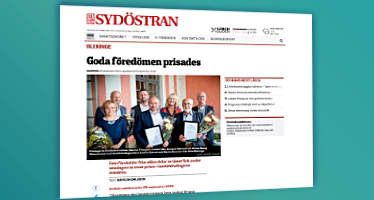 Innovator and IT entrepreneur Arnstein Njåstad receives the county's development prize for his solution to use smart glasses in intensive care. Five role models from different parts of the county received prizes in the governor's residence. 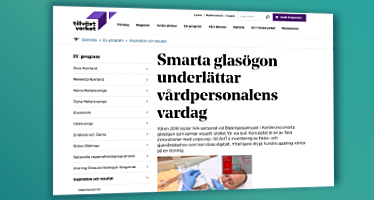 Arnstein Njåstad has developed a system for smart communication in complex healthcare environments. 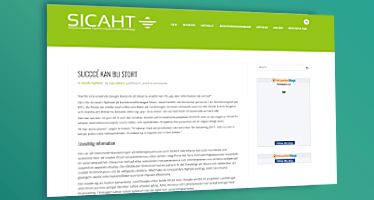 Arnstein Njåstad was awarded the Innovation Award SKAPA for his ingenuity, where he helped to lower the noise level at the ICUs. SKAPAs Innovation Award in Blekinge 2016 goes to Arnstein Njåstad who has developed a system for smart communication in complex healthcare environments. 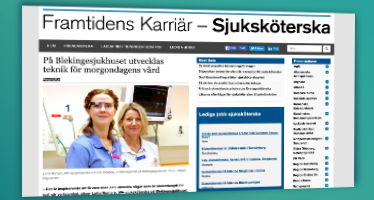 During spring 2016, ICU staff at Blekinge Hospital, Karlskrona, test smart glasses that alert visually rather than through sound. 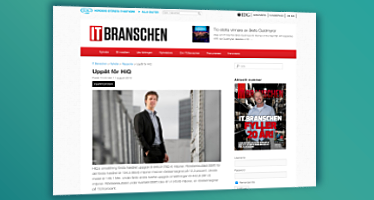 HiQ is part of the development of smart glasses in health care. What if the doctors and nurses would be able to take part of important patient information using a small computer that is attached to a pair of glasses? 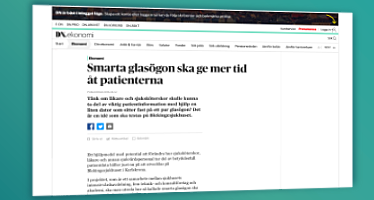 That is an idea to be tested at Blekinge Hospital. In the future, doctors and nurses will be able to get patient data directly on an eyeglass lens, wherever they are. 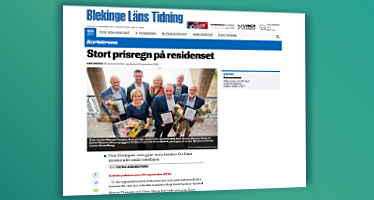 This is the vision of a project at Blekinge Hospital. 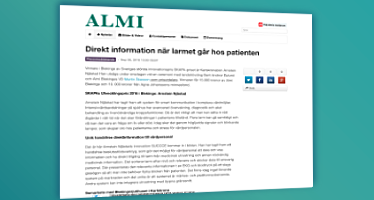 - It is inspiring to be part of developing something that is tailor-made for our function, says Lotta Romare, ICU nurse at Blekinge Hospital. 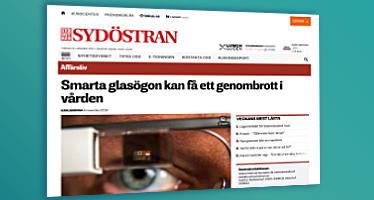 - Why not use Google Glass so that doctors can quickly get the information they want? 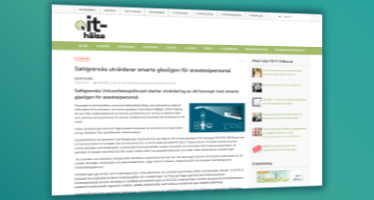 Arnstein Njåstad, CEO of Nicon in Karlskrona, sketched out how it could work and noticed that the audience of some fifteen people in a lecture hall at BTH began to straighten up in their chairs. When patients undergo surgery, the doctor can follow pulse, blood pressure and oxygen saturation - directly in the glasses. The patient's heart rate, blood pressure, journal. All of that is shown before the staff's eyes when they wear the smart glasses. 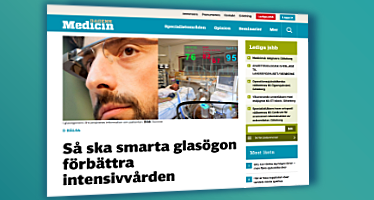 Smart glasses can facilitate intensive care and provide a quieter environment. 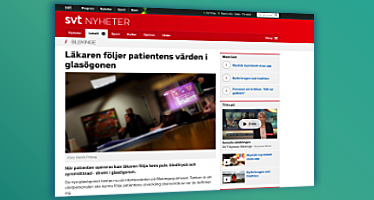 Today's technology is being developed for tomorrow's care at Blekinge Hospital. 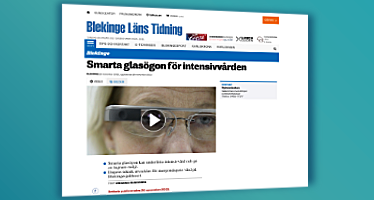 Intensive care unit at Blekinge Hospital participates in the development of smart glasses for use in health care. 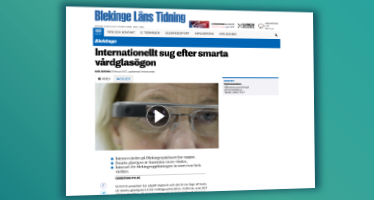 The intensive care unit at Blekinge Hospital participates in the development of smart glasses for use in health care. 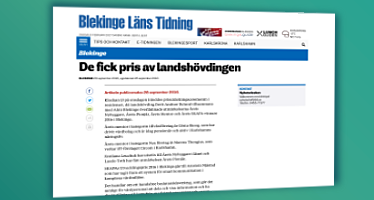 Arnstein Njåstad recieved the SKAPA Development Prize in Blekinge for his innovation SUCCCE. 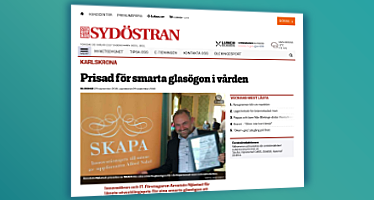 SKAPA was instituted in memory of Alfred Nobel, and is considered the most prestigious innovation prize in Sweden. TelecomCity has instituted a memorial fund for Richard Lidén, and we have proudly been awarded this prize with the motivation "In a short time one has gone from concept to company with a commercial Proof of Concept that clearly covers a great demand on the global market". SUCCCE AB was one of the finalists for the Stena Line's Propeller Prize.